Scalping strategy is one of the most favorites trading strategy for many Forex traders and most Forex brokers don’t like scalpers because they earn high profit with a lot of orders in short period of time! Many Forex brokers assign at least one rule in their agreement against Forex scalper traders any how some Forex brokers allow you to trade and earn profit by scalping strategies. Scalp means you open and close position in less than 2 minutes some time scalpers open and close their position in less than 10 seconds! In fact scalpers try to earn profit by predict 3 or 5 pips market direction in other hands the scalpers trying to trade on the short wave movement. There are a lot of scalping strategies in the world unfortunately most traders think that scalping means open an order with 2 or 3 pips take profit! But scalping strategy is like all other strategy you should have specify rules for your strategy. 1- You must understand the market condition to enter your position. 2- You must know that what the best time for your scalping strategy in fact is your strategy good in morning or night or during important economic Forex news and etc..? 3- You must know how much pip is you lose if you trade wrong unfortunately most Forex scalpers open a position with 2 pips take profit without any limitation for their lose ! sometime their risk/reward ratio is horrible ! for example I saw many Forex scalpers risk/reward ratio is 2pips profit and their stop loss is more than 50 pips! 4- Scalping means short profit and short time! To enter your scalp position you must know that how much time do you need to earn profit or exit with lose if you are a second scalper you should know that your position should close after 1 minutes maximum and if you are minute scalper you should close your positon after maximum 5 minutes it is depend on your scalping strategy and your trading time and etc. 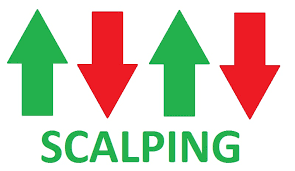 5- I highly recommend you that don’t open scalping position during the important news like unemployment rate or other important news the most Forex brokers don’t close your position on your stop loss point during news and most brokers wide their spread during Forex news.